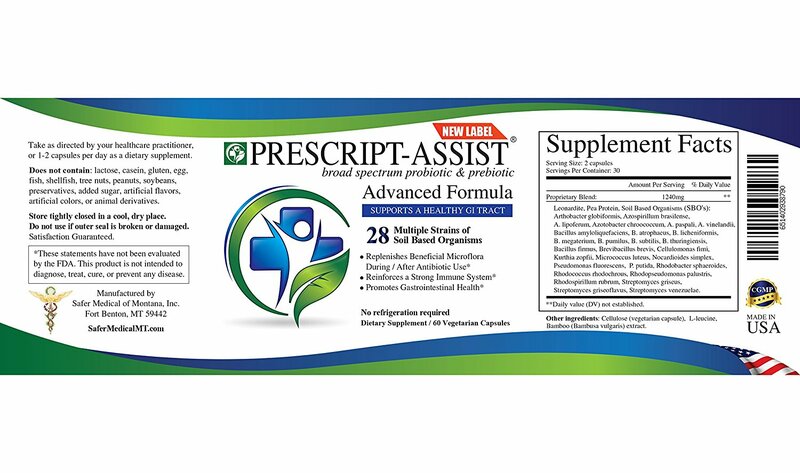 Prescript Assist old formulation recall notice! Want to learn all about the HSOs in Prescript Assist? 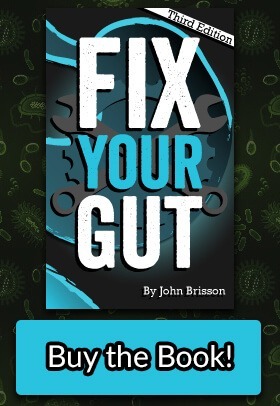 Get a copy of Fix Your Gut. Everyone in the natural health community used to love Prescript Assist, but many of them changed their mind because of the new formulation. Some Guru’s have not changed their recommendations from Sisson,1 to Asprey,2 to Richard Nikoley. Chris Kresser finally changed his recommendation on Prescript Assist.3 Kresser states that they have changed the formulation to a new version that has not been tested for safety and clinically verified, unlike the old Prescript Assist formula. Well, I had my doubts about the safety recommendations of the old formula, the new formulation has manifested those doubts into a dark reality. Many people still believe that Prescript Assist is the best “probiotic” supplement since sliced gluten-free bread. Well, in theory, Prescript Assist appears to be a perfect HSO supplement. Most of the “probiotics” found in the supplement are heat and shelf stable. Most of these hemostatic soil organisms are either encapsulated in endospores, pH resistant so they can survive stomach acid exposure, or produce biofilm when they colonize. Hopefully, they will survive your stomach acid and eventually colonize the large intestine for your benefit. Well, I will be damned, Prescript Assist used to be the safest probiotic ever produced, even with my doubts. Too bad that they changed the formula from an HSO probiotic that I would not recommend to a firm recommendation that no one should ever consume this “probiotic” supplement. It is unknown if most of the microorganisms in Prescript Assist are part of normal human flora. Many of the microorganisms have non-existent human studies and no human research studies. We might gain more information about the interaction between the microorganisms used in Prescript Assist and their human hosts once the human microbiome project6 is completed, but for now, it is truly unknown if any of these microorganisms are native flora. You might be asking yourself what the big controversy is? The main issue with probiotics using unstudied or lesser studied strains is that supplementing with any microbe with unknown pathogenic capabilities in even healthy people is playing with fire. Without proper research, we do not know what these organisms are capable of doing to our health. There was only one study performed (the second study was just a one-year extension on the previous study) on the old formulation of Prescript Assist. The study was a double-blinded, randomized trial with a placebo as a control. The original study was two weeks long, only had twenty-six participants, and used an irritable bowel syndrome (IBS) questionnaire to report initial symptoms or any improvement during the study. The second study was just a one year survey of twenty-two participants in the previous study. So because twenty-two people felt better on an IBS survey of taking Prescript Assist for one year, it is deemed by the authors that it is safe to use for a reduction of generalized IBS symptoms for short-term (a couple of weeks) or long-term (one year) use. Well, I have a few issues with the author’s conclusions. For one they used a survey which I believe to be one of the weakest forms of scientific data for the study and the study has a small population size. We also need more studies performed before we reach a broad conclusion. Whether or not you agree with Chris Kresser that the old studies prove that Prescript Assist was safe and effective is irrelevant, the new formulation of Prescript Assist has no studies to back up its effectiveness or safety. Do these poorly researched strains only improve our digestive or overall health, or do they cause severe, hard to relieve opportunistic infections? We have no idea without proper research into these organisms and their relation to our microbiome. All of these listed HSO’s are known to cause opportunistic infections in humans or can cause severe health issues, some worse than others. These bacteria can produce hardy endospores and/or biofilm, which make it harder to reduce their colonies if they become opportunistic. It is a lot easier to reduce colonies opportunistic Lactobacillus acidophilus then Pseudomonas fluorescens. Is Prescript Assist Capsuled and Bottled Fertilizer? Disclaimer: All products are for Agricultural use only. 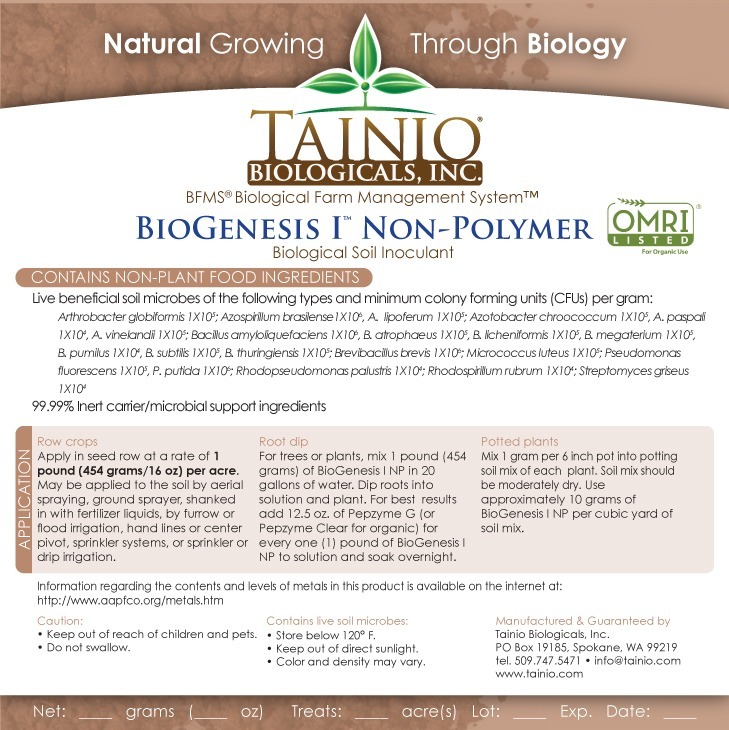 By your purchase of this product(s) you agree to only use the product(s) in strict compliance with the instructions of use on the product label and recognize that Tainio Biologicals, Inc. is not liable in any manner for any off label use. I do not believe that Safer Medical of Montana should be using Tainio Biologicals soil inoculant for their “probiotic” supplement. It is only supposed to be used for agricultural use, not human consumption. Finally, Safer Medical of Montana has been threatening researchers with legal action that report concerns about Prescript Assist. George Ackerson, the founder, and owner of Safer Medical of Montana, allegedly has a shady past, read Greg Caton’s blog Meditopia for more information. Now, I hope you understand why I cannot recommend any of my clients supplement with Prescript Assist, and I hope you look over my research and do some investigating of Prescript Assist on your own. 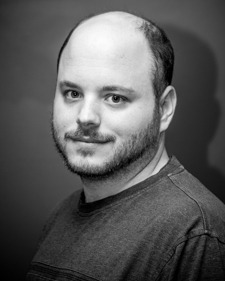 Repost from Chris Kresser’s website… yikes! I don’t recall this being on his site before, looks like he updated it. Following the post below, I have learned of serious safety concerns regarding the Prescript-Assist product, which continues to be sold on the market. In connection with a lawsuit against Safer Medical of Montana, the original source of Prescript-Assist, it is now known that the active microbial ingredients found in Prescript-Assist were produced by Tainio Biologicals Inc, a biologicals producer for agricultural use only. Tainio Biologicals is not regulated by the FDA, does not follow Current Good Manufacturing Practices (cGMP), utilizes multiple undeclared ingredients, and none of the Tainio products used in Prescript-Assist have been tested for use in humans. We/I support Enviromedica’s responsible decision to remove the product from the market, and we/I ask that people who continue to purchase Prescript Assist based on our prior recommendation not do so. People still dont get the fact that you MUST start off with VERY SMALL doses of any new probiotic or supplement that you put into your body. Especially if you have an extremely sensitive gut. Everyone starts popping 1-2 full capsules and then complain that they dont feel well and leave negative reviews on Amazon, etc. sometimes starting with literally a spec of powder from the capsule is necessary I dont know much about the new prescript asst formula but in the past I used the older formula for a while and my bifido and lactobacilli levels shot up. I also know Microbiome labs is doing great research on spore based probiotics and have shown that the product boosts diversity. my diversity has improved after just taking a tiny spec of Megaspore powder every day for 1 month. That probably means that the new one is no different than the one that was recalled. Which also means it has all the same problems. If this is in court proving they’re misusing a farming product, why isn’t the FDA jumping on it? John, love your blog. I feel like I have been close to turning around my health. I (per my naturopath) seem to be dealing with SIBO, Candida, low stomach acid, minor LPR, and also bone density, borderline anemia, and hormone issues…. My focus is on fixing my malabsorption issues and I feel like I’m getting close. It’s amazing when my digestion is improved how much I can tell that I’m absorbing more nutrients and starting to feel better. As of two days ago I stopped all probiotics and have been trying the Fast Tract diet (low fermentable carbs) while taking HCL with Pepsin and taking herbals to knock down SIBO/Candida. I just saw your S. Boulardii recommendation and am curious if you think my above plan plus that since it doesn’t have FOS and then making Biifido enemas to try and populate my colon while not giving my small intestine the opportunity to overgrow? My current theory is that my LPR was starting because I’d the combo of fermentable foods plus FOS and lacto/bifido probiotics further populating my small intestine despite Hyperbiotics goal of trying to get them further down the tract? Initially I was blaming the HCL/Pepsin but it seems that adding that was what started me on the mend… Many thanks! I recommend asking your health care professional about Bifido enemas for sure. Bifido colonizes the colon so it might be a good idea to take it using an enema instead of ingesting it. Some of it might be eliminated from stomach acid and bile, which can cause less of it to colonize if it actually does when taken orally. I started taking prescript assist and 2 weeks later i came out in a ouzing skin rash that became infectious and I had to take antibiotics for a week to clear it. I didn’t want to take the antibiotics but it was spreading on my face fast. The doctor put it down to a shaving rash but i wasn’t convinced. after taking the antibiotics i started back taking the probiotics again. After a week the skin outbreak started again but underneath my jaw line and slowly it has spread. It isnt infected but there is puss on some of the areas. Last night I got violent red spots around my nose and red skin around my nose. My diestion, mood and energy improved when i started taking PA but the skin outbreak is not very nice at all. How do I know if this is my body elimating bad bacteria and toxins or if i am having really bad side effects that i should be concerned with? I am worried about the probiotics are becoming pathogenic and damaging my health. Before this i never had problems with my skin and had a healthy glow but had some issue with digestion with on and off constipation. any help is much appreciared as i am really worried and quite stressed about it. I thought I was helping my body to be healthier and now i wish i just refrained from taking anything. I have also been having regular blood tests and my blood serum iron level has been steadily reducing. I am not an exper but i am thinking is there a connection. Do i have leaky gut (because of bad bacteria) and are the probiotics killing off the bad bacteria and is the waste and toxins making its way into the bloodstream and then skin via a ‘leaky gut’? I don’t have any bloating, heartburn, constipation issues at the moment. I ran into an Ag product called Biogenesis NP that is virtually like for like on the new Prescript Assist formula. Unfortunately, it was only after I bought the product and had a bad reaction to it. So far, I can’t find any GRAS documentation on most of the strains in the product and I can’t figure out where the guy is actually manufacturing it since he lives out in podunk Montana. It’s starting to look more like he’s shifted his operations to rebottling fertilizer. i was having horrific anxiety and mild depression using lacto/bifido products. prescript assist has handled those nicely and things are sooooo much better. i must add that i was taking Primal Defense which is a mix of lacto and sbo’s and i was feeling lousy with a good day here and there. so i wanted to know what in the formula was hurting me. so i decided to try a sbo only formula which is Prescript Assist. it’s only day 4 and i’m taking 1/8 of the full dose. anxiety all but vanished in day 2 and digestion is fine. my theory is this: if you have Candida or sibo then sbo’s are the path to choose. if you have neither of those and solely want to boost your good flora then traditional strains are the way to go. i have candida overgrowth bad: thrush, jock itch, athlete’s foot, poor digestion and poor nutrient assimilation. been sick for years with it. s. boulardii i believe is not good to take at great lengths. i believe it inhibits bacterial growth whether good strains or bad and creates dysbiosis in the long run. i’d be happy to update my experience with Prescript Assist after more time and larger doses. Not getting my hopes up but it’s not hurting me yet. that is surprising because i am hyper-sensitive and over-reactive to most all probiotics and supplements in general. Your bad reaction to ‘lacto and bifido’ depends on the strains used. You may have been taking strains that produce high amounts of histamine that will surely raise anxiety levels. Could you give us an update on using Prescript Assist. I’m so confused as to buy it not to buy. What probiotic supplement do you recommend for everyday consumption? I do not recommend a probiotic for everyday consumption. You need to eat a varied diet like the Perfect Health Diet for a healthy microbiome. Has anyone noticed sleeplessness. I swear since I starting taking these I cannot sleep. I also take zoloft and clomzapam . Do you think this could be a problem. Hi, Interesting article, thank you. I’ve been told S boulardii is good for people on long-term antibiotics, especially for Lyme, Bartonella and other tick-borne diseases. That it actually helps kill Bartonella? Do you have any information/thought on this? I’ve also been recommended Align and General Biotics Equilibrium. Am seeking information on these probiotics. Would be great to have your thoughts. Some comments mention symptoms like anxiety, panic attacks and acid reflux, well I’d like to add that I suffered badly with anxiety and acid reflux on a daily basis, then I discovered that I was sensitive to digitally pulsed microwave radiation which is emitted from cellular phones and WiFi. I stopped using a mobile phone, made sure my internet connection was only wired with no wireless signals coming from the modem by testing with a detector, I shielded my room from neighbours emissions and now I have no acid reflux (no more anti acid tablets) and my anxiety and depression has gone, I also sleep better. A good documentary to watch is “Resonance Beings of Frequency” on YouTube. Hi Jade, very interested in your comment. I suffer with severe anxiety and depression. For a year now, since birds nested outside my bedroom window and kept me awake, I have taken to sleeping in the lounge on my recliner and feeling quite comfortable there I am still sleeping there. I wonder whether some of my problems could be alleviated if I get back back into bed because in my lounge I have my wi-fi box, tv, hi-fi on and never switch them off at the socket at night when I sleep. I also have my headphones plugged into my mobile with lots of meditation vids playing in my head all through the night. I am wondering if any of the above could be exacerbating my symptoms. This is like the most useless comments ive seen in any comments. Sorry, but unless you live eat sleep 24×7 in your house, you are always surrounded by radio waves. Every inch of your life is covered by radio frequency, (when you step out of your house). If you live in rural area, sure, there’s the possibility of not surrounded by waves all the time. But then again if you live there, stress and anxiety is pretty low, so will your reflux kept to a minimal. It should take a few days for it to get out of your system and for the inflammation to reduce. I have been on Prescript Assist Pro for months now. Initially I didn’t find any issues as my gut has been through several problems including intestinal surgery, multiple cases of CDiff, chronic constipation and low motility and more recently SIBO. I am convinced the doctors have changed my gut microbiome too much as now I am terribly bloated, more constipated and my stool smell has changed to almost something chemical and it’s definitely noticeable. How long would it take to change and reverse these side effects? The best pro biotic that always worked for me is VSL3 I’m wondering if I should be adding back twice a day? I’ve had great results with Prescript Assist. I’m hyper sensitive to probiotics as well as prebiotics, and if something doesn’t agree with me I find out right away. Prescript Assist has improved my digestive processes and bowel function dramatically, and the results have lasted. FYI I also pay attention to diet, and work with a functional medicine doctor to fine-tune everything. I have found that the combination of diet and Prescript Assist, along with a prebiotic called Biotagen from Klaire Labs, has worked well for me. I’m not here to argue, because I know from personal experience that what works for some people doesn’t work for everybody. Gut issues are highly personal, just as each person’s microbiome is unique to them. There’s no such thing as a one-size-fits-all when it comes to probiotics or diet in general. It is too bad that we don’t have the ability to sample a probiotic for a short period without shelling out $$, and that’s a drawback. But, at least in my case, Prescript Assist has been worth it. It may or may not be worth it for others, but there’s only one way to find out. Can you give us an update on the Prescript Assist. I have CFS,TH2 immune dominance and leaky gut and am curious how many caps and long did you have to take the PA before it restored your gut function? John — 90% of the studies you post against any probiotic or HSO are never ones based on INGESTING the product. The studies on this page where an individual HSO caused problems were due to hospital equipment being infected with the organism, where people developed problems due to INTUBATION or other medical procedures. Next time you go off on a rant about Prescript-Assist or MegaSpore or whatever — try finding human studies where the SBO or HSO or probiotic was ingested, instead of inhaled or as a result of being intubated, etc. I just read your comment on Dave Asprey’s forums where you said the first probiotic was named in 1989. That ignorance says everything…unless of course you meant 1889. In addition I did not say the first probiotic supplements were started in 1989, I was quoting what someone else had said in the thread, http://forum.bulletproof.com/discussion/10502/down-with-prescript-assist. If you are going to quote me please do it correctly, thank you. My 33 months son is on intravenous antebiotics in hospital for the last 4 days (pneumonia). Can I give him prescript assist? What’ s the safe dosage? Thank you in advance! Run everything by your doctor but since your son is in a compromised immune state I would heavily advice against the use of Prescript Assist. I do not recommend that he takes PA, he is immunocompromised. Thank you very much for your advice. What about boulardii? Is it not safe too? If that’s the case, GOS is the one you recommend in our case, too? Hi I’m from Norway so pardon my spelling errors. My sister struggled with anxiety and racing heart rate as well. Doctors didn’t believe her, never suspected diet to be the issue, accused her of being hypochondriac, which didn’t help her.. She’s now been avoiding all sources of gluten / wheat in her diet for about 2 years. This has made things dramatically better for her and she is now finally back to “normality”. I my self (29) struggled with IBS and acid reflux from around when I was 14 years until recently. I remember how I would always know where the nearest toilet facility was. And if I ate a slice of bread before turning in, I’d typically wake up in the middle of the night chocking on stomache acid. Thankfully both the IBS and the Acid Reflux cured it self by avoiding first milk(19) which helped tremendously for the IBS then gluten(26) which stopped my Acid Reflux issues completely and after 3 years now I can eat healthy amounts of dairy again. Cheese and yoghurt is fine and i can eat an ice-cream every now and then as long as I avoid gluten. Gluten was the disease, IBS was the symptom and severe milk intolerance was a result. Fun fact, the standard lunch at school from when you are 6-18 is bread and milk. Although both of us noticed a positive effect very soon after removing gluten from our diets, it did take a long time for the gut to heal and for the symptoms to cease entirely. One thing you must also be aware of is that gluten is often found in products where you least expect it, like soy-sauce, so always read the label first! Hang in there, stay away from gluten and wheat and hopefully your gut isn’t damaged beyond repair and things will get better. Holy words, I do believe that gluten, lectins and acellular carbs are the main culprits. I have a sensitivity to corn and rye and barley and eggs, which affect me mentally. Whenever I have any cornflour or cornstarch or any eggs or malted sweetener (made with barley), I get ‘off’. The problem is mentioned by Hulda Clark in her books, but she was not the first to notice it. I think the problem is supposed to be a mold which grows on some crops, which produces an unusual toxin. Apparently it caused an entire town to go insane in the 1700’s in France, due to a contaminated rye crop. Have you considered working with Trudy Scott or looking into whether he having issues with histamine intolerance? ( try Yasmina Ykelenstam’s info)? I am on prescript assist and I’m feeling strange inflammation come and go. For example, on my feet, I’ve had issues with joint inflammation coming and going, bowel movements are pencil thin as opposed to more normal, my body feels very tight and painful like a muscular Skeleton pain and stiffness when I get up to walk or sit down as now I have an odd lower back ache. I have stopped PA before because it seemed to give joint inflammation. I’ve felt sharp electrical impulse like pains in areas that inflame when I eat wrong. I’m more gassierc too. This is an old thread, but still… I experienced something similar. I am still looking for a solution, but one thing that did help a bit was Losec in double to tripple dose. Maybe the bacteria that is causing the problem is pH sensitive. It also seems to get better over time. I went back to using my old probiotics, but honestly I don´t know if it has had any impact now. Most probiotics are hydrogen producers so they would actually feed the archaea. I’m trying to learn a bit more about prebiotics and probiotics and was advised prescript assist you should only start with 1/4 of a capsule first for 3 days and check for side-effects? If there was a reaction straight away, then you would even start with less for your body to adapt or could it be an indication of unhealthy digestion. Then work your way up to 1/2 capsule, 1 capsule and so forth. What is your view? I understand that this supplement is a native microbe as opposed to the transient microbes, still trying to figure all of this out, and with something like prescript-assist you do not necessarily have to take it long term. 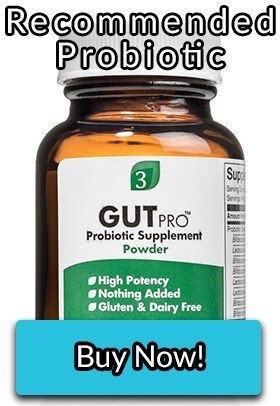 I understand your article and where you are coming from; a long time has to pass before any study can be deemed credible but my question as it wasn’t so clear was about how much to start with, not just with this product but any probiotic supplement. Thanks! I would titrate the dosage of any probiotic the same way, it is no different with PA. Start with less amounts of the recommended dosage and increase as your body adapts. Like with Gutpro powder I suggest people start with 1/64 of a tsp daily and increase based off of how you feel. I’ve been advised I have leaky gut which is the probable cause of my tendency to food allergies (nuts seeds,vegetables,yeast). I’ve taken Klair Labs Complete for 5 years with no effect on the allergies. What else can be recommended to heal leaky gut and/or indirectly food allergies? Prescript Assist was the new ultimate thing! Most of the time taking care of overgrowth and increasing diversity in the gut can help. Ingesting diverse seasonal food, avoiding gluten, limiting casein, ingesting clean protein, if you can tolerate ingesting bone broth or collagen, and ingest EPA / DHA (seafood.) Maybe supplement with GOS or acaia fiber. Working on sleep and circadian rhythm can also help. Finally, getting vitamin D from the sun and maintain safe levels can make a difference. OH my goodness! I follow the paleo diet for a while now and was doing so well. Over the holidays I ate a few servings of waffles and also had some sugary treats and alcohol…I was a bad girl. My bowels didn’t like it and i started having symptoms of gut dysbiosis. I ordered prescript assist and it started helping me immediately. It has been over a month of taking is and I am having horrible bloating, abdominal pain and constipation. So I guess I am going to stop taking it and hope for the best. I will probably wind up reading your book if my symptoms do not go away. I originally started taking this because The Paleo mom always had such good things to say about it. I wish I had done more research! I caution the use of soil based probiotics more than even standard probiotics. Granted either one could go sour at anytime. It is always best to try to culture the flora back using targeted prebiotics and food. You final statement is better than most and I applaud you for that. If you want to recommend them to your clients then by all means do so. I will not for mine. The only reason why I wrote the HSO series in the first place was that most people in the blogosphere and the probiotic companies themselves treated them as completely harmless and that they could not cause any problems whatsoever. I have been able to eat eggs again lately and this coincided with me trying prescript assist. Maybe it cured my intolerance? I’ve discovered your page recently and am really enjoying your information – thanks! I am actually in one of your mentor’s practitioner training right now (I’m already a practitioner, just adding to my tools) and am leading a group of people through a Paleo and Microbiome Reset this April. So I’ve been doing extra internet browsing. The SIBO protocol we are learning is not jiving with my own chronic high methane SIBO, so I stopped it. In the past I get worse with any lacto probiotic. I do like bifidus only ones though, and I couldn’t tell a difference either way when I’ve used PA or Probiotic 3. I’m sorting out my thoughts on SIBO and on probiotics right now, so thanks for your dissident viewpoint! Refreshing! Thank you for this article. While I merely understood roughly half of what you said, I now feel reassured that I am NOT crazy sitting here with side effects from this damn pill! It causes me intense gas pain that lasts for days… but only when I take it and eat egg. Very strange. I got it off Amazon and was worried that may have caused a quality control problem, so I call the number and left a message but never got a call back. If this is just “die” that my body needs, I’ll endure. But I have always had a smart body that rejects bad things so I try not to doubt it. I certainly hope I am not putting myself at risk taking these. I would stop it with those side effects, it may be die off but at what risk? i was searching for problems with prescript assist. I also feel sick after taking them. I stop, then try again. This weekend I felt nausea, diarhea and pain in my gut. They are going in the bin. Is there longterm effects of taking it even a bit. i am worried. Of the 3 probiotics you mentioned, which one is the best to treat sibo? Jarrow Formulas Ideal Bowel Support or the Life Extension Bifido Gi Balance? Thank you. Many people seem to have good effect from Prescript assist and I hoped it could help me, I have extreme bacterial overgrowth and really bad bowel flora. Have tried three times. First time my tongue turned yellow and I felt sick. I stopped. Then I tried again, but this time I got extreme gout pain (have never had before), felt sick etc. I tried a third time too, stopped yesterday. I feel sick (or yeah, I was sick before too…but worse) and my tongue is black! I tried to tell myself that PA is really potent and that all these symptoms are some kind of herxheimer reaction, but now I am doubting.. I doubt it would help you at this time like most probiotic supplements because of your extreme overgrowth and motility issues. Discomfort after taking a probiotic, especially a strong one is inevitable. When the bacteria starts to take hold, it kills off the bad stuff. It’s that bad bacteria decaying that causes the discomfort. It can feel nasty due to the variety of symptoms it unleashes but it means the good bacteria is taking hold. It’s a die-off reaction. When you understand it, you don’t fear it. Of course with an imbalance of bacteria, that creates food intolerances and they damage the intestines and they need time to heal up so that all the goodness in food is properly absorbed again. It seems to be true! Fermented foods can have way way way higher cfu counts than pills. Like 10 to 1000 times higher than a pill with one serving. That’s the claim I keep reading. Is that so? You seem to be the only one out there down on Prescript-Assist. I wish I would have read you before I took it! I had to take an antibiotic for a UTI and wanted to be heavily proactive in restoring my gut, so decided on PA. I took it for a week, experienced terrible bloating, gas and constipation. Have been off it for a week and am still terribly bloated. I thought it would just go away, but the info you have here on opportunistic HSO’s has me very concerned. Is fixing what I’ve apparently done to myself covered in your book? If so, I will happily purchase it.Thank you for your help. I’m so sorry for the loss of your child. Yes, follow the SIBO protocol in my book Fix Your Gut. I’m having the exact same issue as you described in this comment. Could you please tell me how you are doing now and what actions you took. I’m wondering if taking primal defense caused me my recent relapse with SIBO that I’ve been trying to manage with your protocols for a week. I felt like I was just beginning to tolerate some fermented foods and RS in small quantities. I was taking 1-2 pills of the HSO every other day or so. Any probiotic can become opportunistic and cause SIBO if the conditions are right. The problem with HSO’s is the biofilms that they produce are problematic. 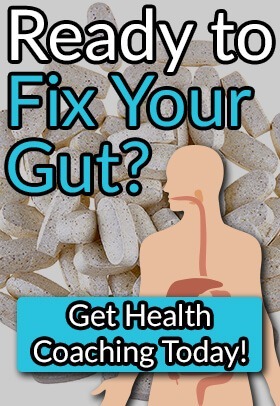 Fix Your Gut has some great recommendations in removing the opportunistic bacteria and re-balancing your gut flora! The information for this can be found in Fix Your Gut. So what probiotics do you recommend for IBD, Crohn’s, SIBO, antibiotic use and other related things ? I have made a post about probiotics that I recommend here: https://fixyourgut.com/three-recommended-probiotics/. There is also more great information in my book Fix Your Gut. I have been using FloraStor/S. Boulardii after getting C. Diff induced colitis from a dental prescription and subsequent vancomycin use. Prescript-assist seems to be helping greatly but as you said it may be the initial phase. I took a quarter capsule initially with not much relief but took 1 whole pill since 4 days and it seems to help a lot. A relief after a long long time. But now a downer after I read your reports on HSO’s. Will your recommended probiotics above work in my case as well? Since you are taking it and its is helping currently continue to take it for a week or two further and then ask your doctor about discontinuation. I use affiliate links but its for products I do believe in and recommend in the protocols in my book and on my blog. I have also coached people to use these supplements and I have used some of them myself. Have you thought about the use of a FODMAP diet for two months to shift his microbiome? I’m glad you’re writing about this. My son has autism (high functioning) and have been debating using HSO’s over and over. I want to help him – not put him at further risk. There seems to be an echo chamber in the paleo blogosphere and often times it’s for products and services that the bloggers are compensated for. I’ve seen it with HSO’s and then with RealDose fish oil etc. etc. I just get a feeling in my gut (no pun intended) that some of these recommendations wouldn’t be there if compensation wasn’t involved. I use affiliate links, but they are products that I have used and recommend to other people. I also list products that cannot be found on Amazon because I believe that they are the best. It is a necessary evil but I do not make recommendations based on compensation. Good Article but I would need to see you debate someone much smarter than I or anyone else on this thread to believe your claims and get past the fact you are trying to sell a book that advocates against probiotics. Have you had such a debate with someone who knows the science and is pro Prescript Assist or any other probiotics? If so link on your site so we know the facts back you up and your argument holds up against people of equal intelligence on the subject. If you are proven right I will stand corrected and follow your protocol. I don’t mean to come of as rude but I am off the opinion you have to prove it among people who have the ability to call you out if there is incorrect info in your argument. The history on probiotics and millions of scientist so far say you are wrong. What makes you smarter or more of a qualified opinion than people who know more on the subject than you and do the psychical lab work rather than link sharing and opinion ranting? Because not everyone agrees that HSO’s are safe ad some companies make them out to be, in fact in the studies that I listed many microbiologists have had such fears that I have shared in my writing to their use to improve digestive and overall health. Take that what you will but I have backed up a lot of my work in the multiple blog posts I have made about them on my website. Also, Hooper and I discussed at length about HSO probiotics on our live stream. Hello Robert, right now the microbiome summit is going on and barely any of the speakers are talking up probiotics, it’s an unregulated industry, so John is right on, good for you John. I’ve taken some P.A., heard it was great for travelers diarrhea, found some reviews where airline employees were raving about it. I’ll probably finish up the bottle that I have but I will only take these things like once a week, if that.